While choosing an ecommerce platform, entrepreneurs tend to make a decision based on its look, speed, security, number of products, etc. These key features are important, however, when their ecommerce business become operational, they soon realize the need to have a well-thought set of options for vendors responsible for selling. The absence of such features can cause mismanagement at seller’s end and results into loss of sales, which is the ultimate loss for a business. In early stage, an entrepreneur cannot afford to lose sales; hence, we have compiled a list of important features (available in Vendor Dashboard) that make YoKart one of the most seller-friendly ecommerce platforms in the market. Adding to the convenience of vendors, the shipping info option enables one to easily set the shipping time, company, country, and cost while adding a product. As shown in the screenshot, upon clicking on “Shipping Company” field, the vendor can select from the list of various companies added by the admin. The list also includes “Cash on Delivery” option. Want to reward buyers who order the same product in bulk? With the in-built quantity-based discount feature, vendors can manually set the quantity and a discounted price with YoKart. Furthermore, the feature also enables the vendor to specify the duration of the discount period with “Date Start” and “Date End” option. Looking to give special discount on a certain occasion? With YoKart’s Special discount feature, you can give festive discounts on events like Black Friday, Christmas, etc., for a specific duration. YoKart system has an inbuilt on-site PPC (Pay per click) advertising feature that allows vendors to bring their products and storefront in front of thousands of potential buyers by getting them displayed on store’s homepage. Vendors can manage their ad campaigns by providing details like cost per click, total budget, duration, etc. The feature also lets you decide the position of your ads. 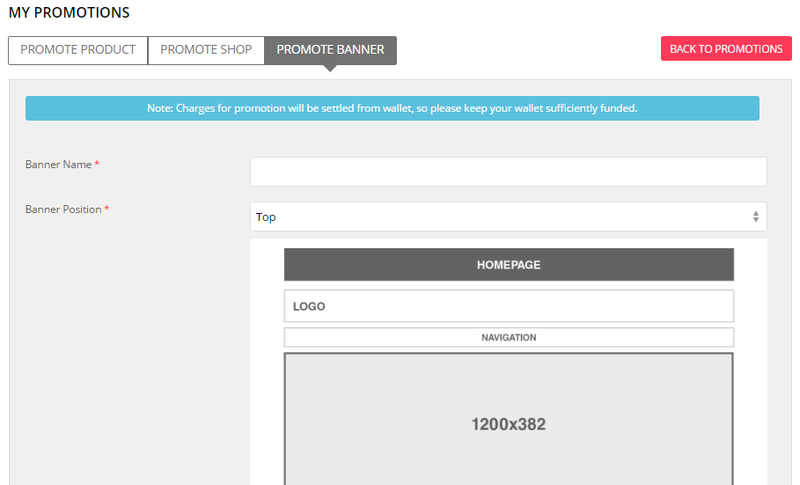 The “Promote Banner” option provides two different positions to display visual advertisements. The top position is the premium spot, which can be used by vendors to have their product displayed on the website banner. 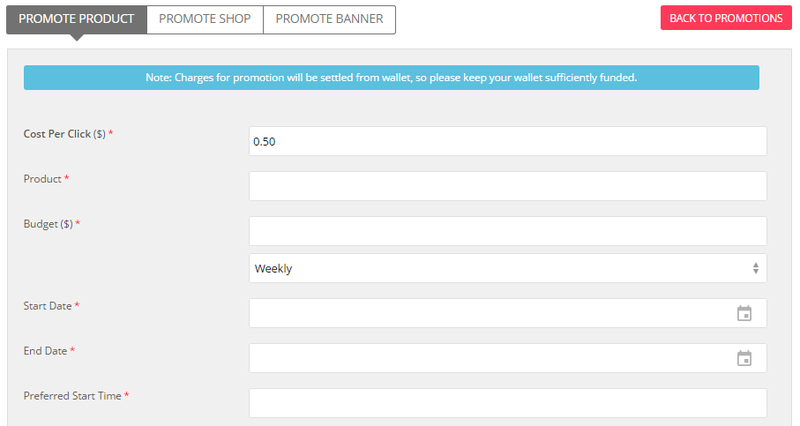 By selecting the bottom position, vendors can have their products displayed in the advertisement grid that is positioned just above the footer section. Vendors can check their sales history with this feature. The sales feature also offers an extensive search option to filter the results. One can search using a specific keyword, status, date range, and price range. YoKart offers superior data handling; as a result, the search is completed within seconds even if there are thousands of results. 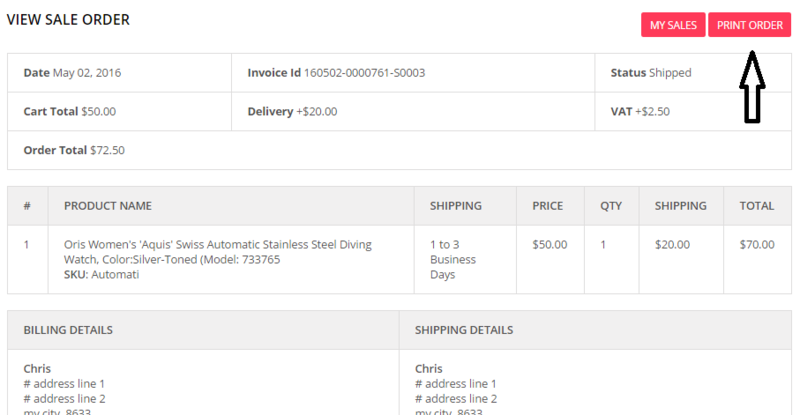 Upon clicking “View Order”, (highlighted in the screenshot above) vendors can view essential order details like date, invoice id, delivery cost, tax, etc. Vendors can also get the order information in a print-friendly format by clicking the “Print Order” button (in the screenshot below). With the digital wallet, YoKart offers efficient exchange between the owner of the marketplace and vendors. Due to the swiftness of the digital wallet, it is the preferred mode of payment while opting for PPC advertisements and for receiving reward points (for buyers). The digital wallet feature adds to the convenience of vendors by enabling them to request payments at regular intervals, which is set by the owner of the ecommerce website. While starting out, an ecommerce marketplace has to make sure that it provides all the necessary tools to vendors that help them sell efficiently. 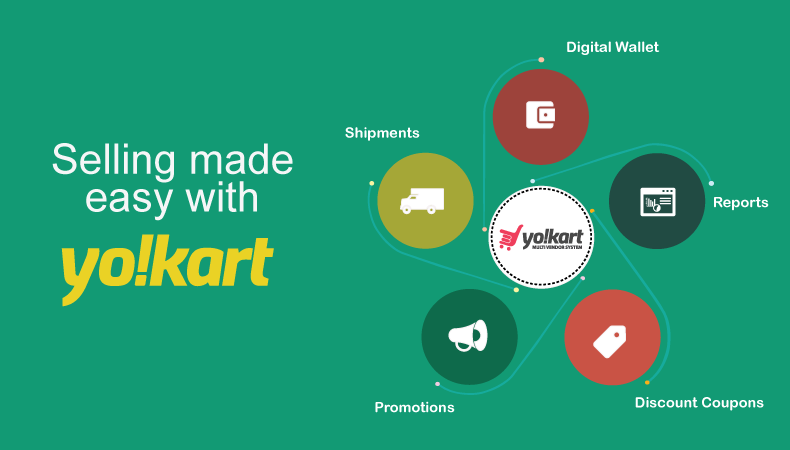 By providing the above-mentioned features, YoKart ensures that marketplaces built using it are seller-friendly; thus, assures ecommerce businesses a seamless growth.